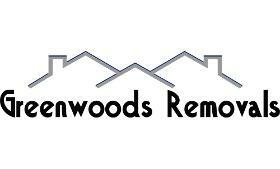 Greenwood's Removals - Home Improvements, Removals/Storage based in Chichester, West Sussex. • Single Item or Full load. • Exhibitions, Shows or events moves. • House and flat removals, light haulage, student removals or just anything. • Sofa, suites, all types of furniture, ebay or gumtree items or any type of items delivered. • Time starts from when we arrive to your place or when job starts. • Short notice bookings welcome! Our service includes moving everything from small single items to large scale corporate removals, distributing goods from a single pallet to full loads, using our vehicles. You can call us on 01243 908002 from 9am to 5:30pm on weekdays and 10am to 4pm on Saturdays, to receive a quote on a removal service or for helpful advice. We offer a reliable service at an affordable price. With our experienced staff being the cheapest in town we have built a shining reputation. We have vans to provide for all your needs. All of our vans are equipped with sat navs, protective blankets, straps and trolleys to ensure all of your belongings are safely transported. If you require any further information about our services then please get in touch. No fuel charge will be added for local jobs in Chichester. For jobs in other areas a fuel charge will be added.